Peyton McKeown scores with 16.6 seconds left as the Tigers advance to the regional semifinals. 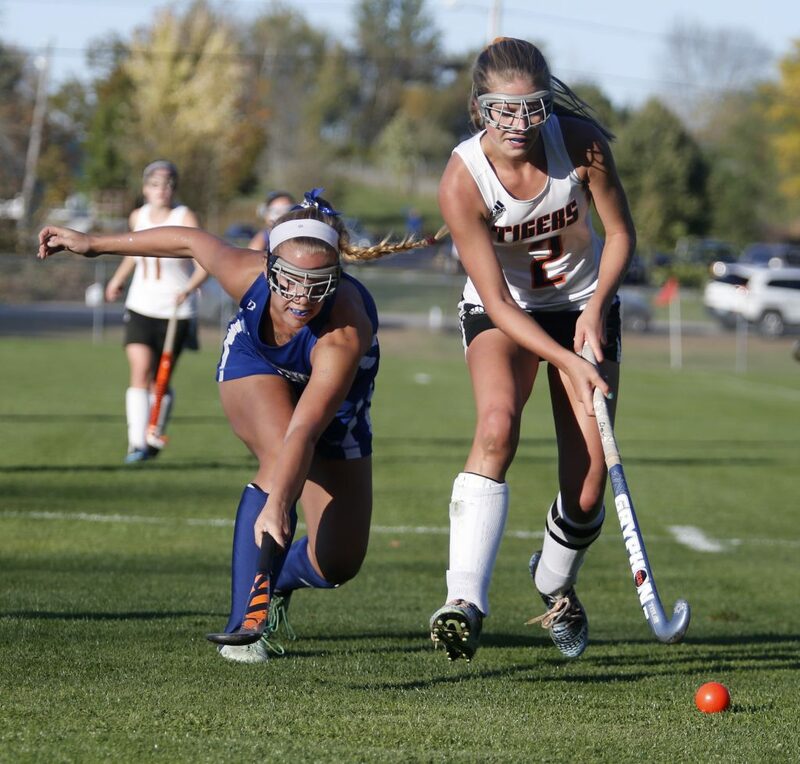 BIDDEFORD — Yes, said Biddeford High field hockey coach Caitlin Albert, it was nerve-wracking. Just like many other games for the Tigers this year. 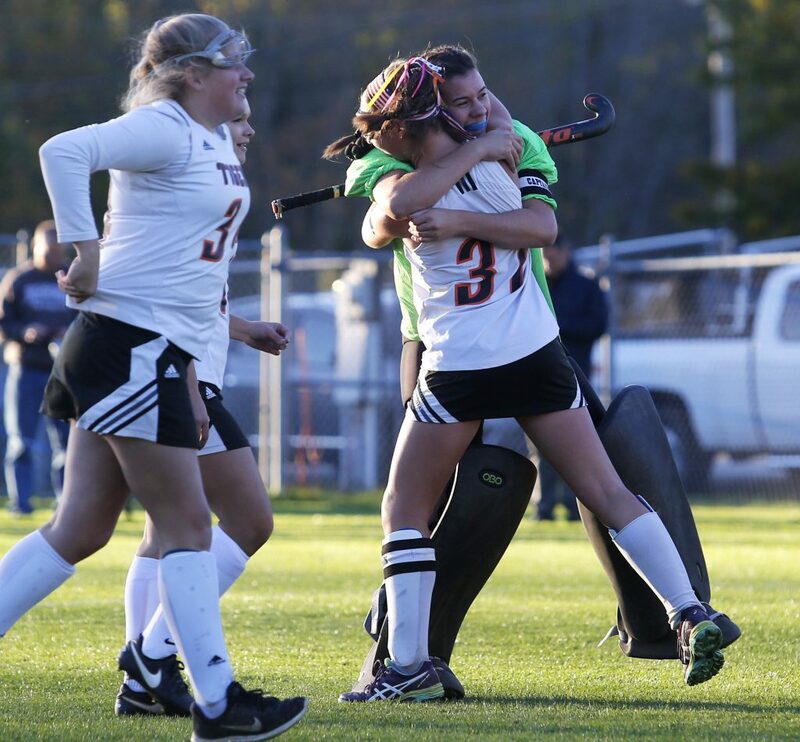 Peyton McKeown’s goal with 16.6 seconds remaining in the first overtime Tuesday gave fourth-ranked Biddeford a 4-3 victory over fifth-seeded Kennebunk in a Class A South quarterfinal at Doran Field. 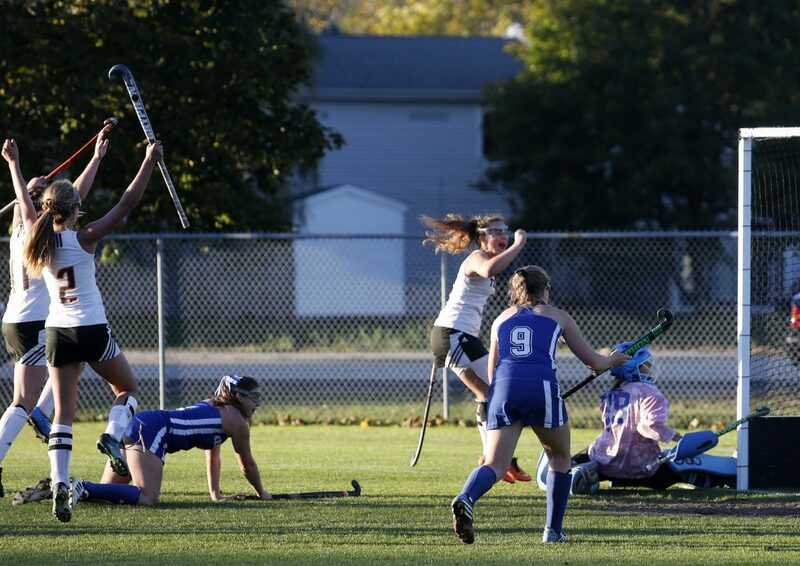 The goal came off a scramble during a penalty corner and gave the Tigers their ninth consecutive win. 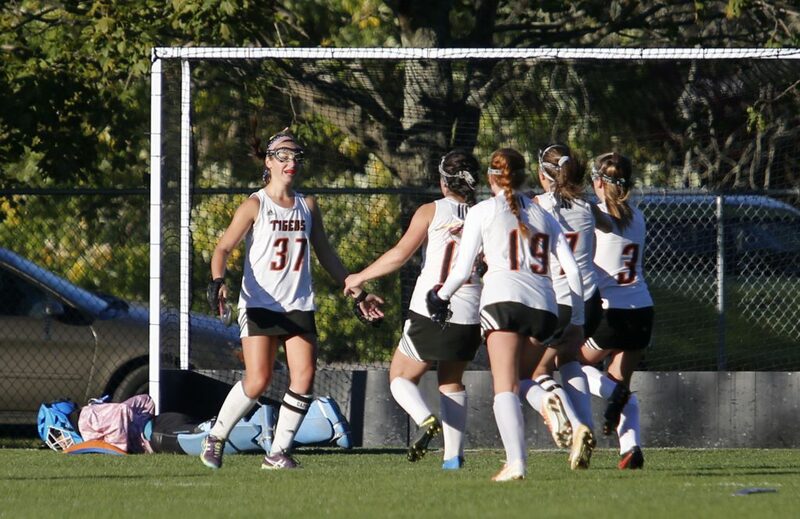 Biddeford (13-2) will play in the semifinals for the first time this century, at top-ranked Scarborough (14-1). 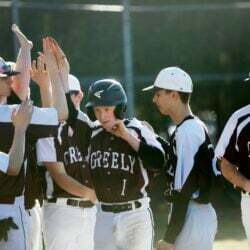 The Tigers certainly were pushed by the Rams, who finished 11-5 with two losses to Biddeford. 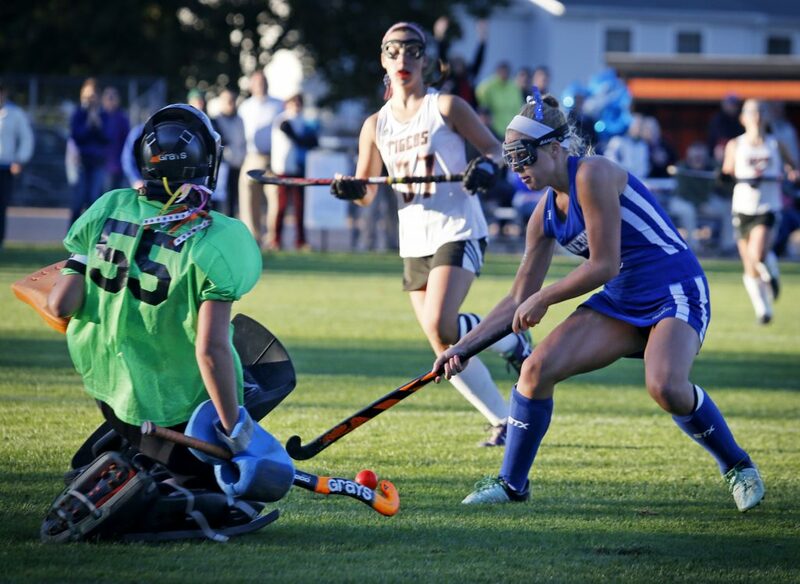 Kennebunk led 2-0 early in the second half and had the first good opportunity in overtime, when its leading scorer, Britney Gregoire, dribbled through two defenders into the circle, only to have Biddeford goalie Taylor Wildes slide out to smother her shot. Then the Tigers struck. 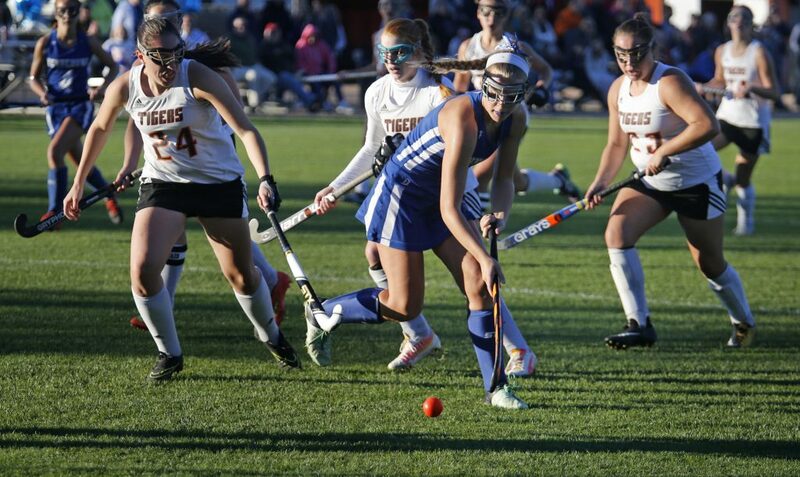 After Haley Moody of Kennebunk made a point-blank stop on Paige Laverriere of Biddeford, the Tigers were awarded their eighth penalty corner. McKeown inserted the ball from the left of the goal to Hailey Allen, who pushed it back to McKeown. After a couple of whacks, McKeown was able to get a reverse scoop that slowly rolled inside the left post. 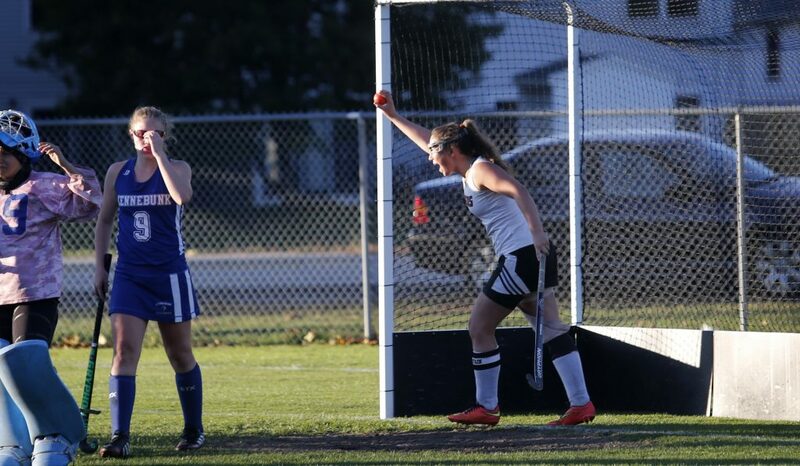 Kennebunk led 1-0 at the half (a Britney Gregoire reverse hit) and 2-0 just 55 seconds into the second half (a tap-in at the right post by Kaylee Gregoire). But the Tigers weren’t deflated. 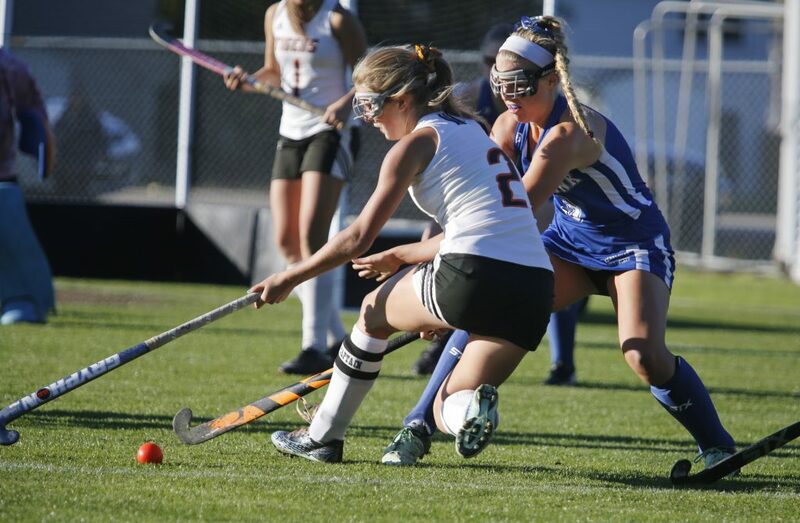 “The entire year we’ve been a second-half team so we knew we could come back,” said McKeown. Freshman Abby Allen started the comeback with 22:41 left in regulation with the first of her two goals. Hailey Allen tied it with 12:19 remaining on a penalty stroke, awarded after a defender blocked a shot heading into the goal with her body. Then Abby Allen put the Tigers ahead 3-2 with 6:56 left, her reverse scoop flying high past Moody into the right corner. Kennebunk forced overtime with 52.7 seconds left in regulation. Britney Gregoire went through the defense and was stopped twice by Wildes, the second rebound rolling to the left where an uncovered Christine Jarowicz tucked it in.